The tech business for years has had an awful record of employing and retaining female engineers, and this record is getting worse. Women represent less than a third of the typical firm’s engineering staff, and in some cases such as Twitter only 10% are engineers. Top tech management ranks are almost exclusively male. Over the years, I have accepted this sad fact of our industry, but this week I was at a conference that was almost all populated with women and girls. It was an eye opener for me. Like many of you, I have gotten used to being in a mostly male audience when I attend or speak at tech conferences. 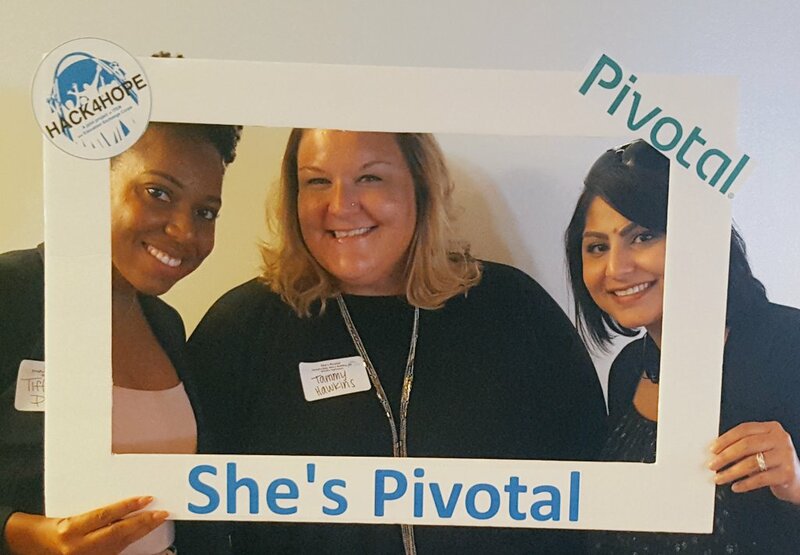 This event was called “She’s Pivotal” and the title was purposely multiple meanings. It was organized by the software vendor to showcase the brainy and accomplished women that it employed, along with some stalwarts from St. Louis. It was inspiring and a bit uncomfortable, which is what I imagine many of the female nerds feel when they sit in a typical meeting. One woman in her 50s spoke about when she first started her career; she was the sole member of her gender in most of her meetings. “Now things have progressed to where there are two or even sometimes three of us in a room.” I guess that is progress. Then there is this: engineering schools graduate many more women that either never end up actually doing any engineering, or who leave the field after a few years. This research from last year found that nearly 40 percent of women who earn engineering degrees quit the profession or never enter the field at all. There could be a variety of reasons for this: after all, many male engineering grads also don’t end up doing engineering too. One of the ways for tech firms to get more sensitive about women engineers was an effort last year that started to count their actual makeup. Software developer Tracy Chou’s began a voluntary collection effort on GitHub to keep track of these num bers, and numerous firms have entered their workforce gender info on her project. Most firms have less than 20% women, but there are a couple of standouts. For example, Thoughtworks has 29% with 655 women engineers, and Wells Fargo has 24% with 1300 engineers. While not listed, I do know that Mastercard has lots of women in their workforce, and they had several of them (as shown above) attending the event. Another way is to start recognizing how women can make an engineering staff better, just by their presence. The women managers on the panel spoke about how it wasn’t their coding prowess but their ability to collaborate with others and form strong teams to get projects done. They came from companies such as Express Scripts, EMC and Monsanto. All held management titles and some of them have been around for 15 or 20 years in various engineering positions. One speaker gave three suggestions for women to succeed in tech. “Try everything to see what you like, when in school take at least one business and engineering class, and just remember that it’s never too late to get more technical education or experience.” All are great ideas. Ironically, Pivotal themselves isn’t the best example. While Cornelia Davis, their CTO, gave an excellent talk at their event, if you go to their management page online you can see a page of all male faces there. But at least they recognize that it is time for a change, and allowed Davis and other staff members to participate in this event. Certainly, Pivotal isn’t alone: most tech companies, indeed most companies, have all male executive suites. Sadly, the glass ceiling is still firmly in place. Then there is the movement called #ILookLikeAnEngineer on Twitter. Last year women engineers started posting their pictures with this hashtag. It is a great idea, because the more we all can see them and can realize that there is no singular “look” the better we all will be. Of course, I posted this picture from my childhood that fits the popular stereotype. 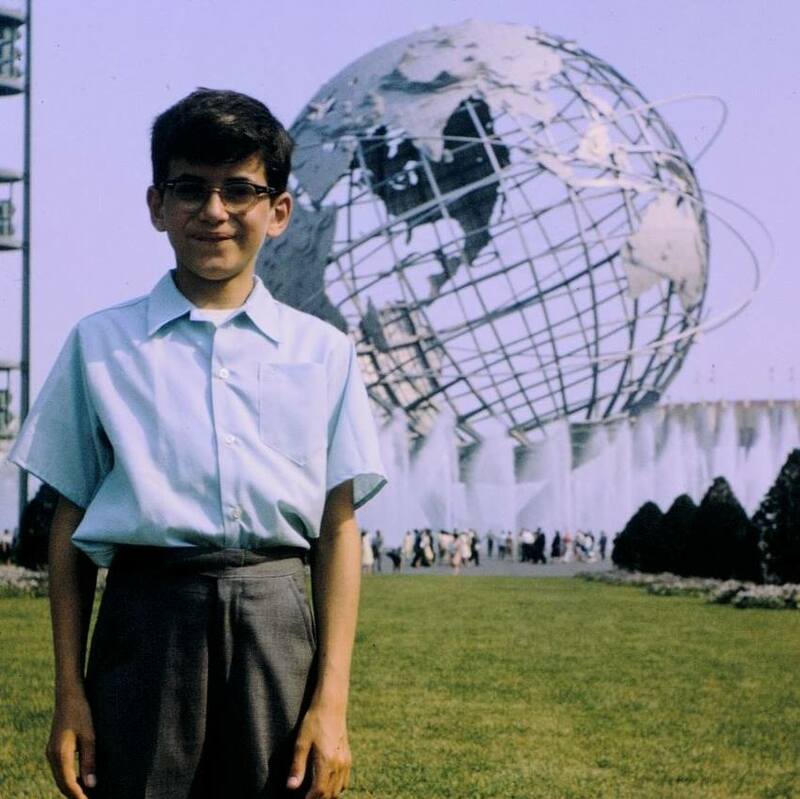 (Once a nerd, always a nerd.) Those of you that are engineers, I encourage you to post your own selfie. One of the goals for the event was to get young girls interested in engineering fields while they were still in high school, or even younger. The event was co-sponsored by CoderGirl, a local effort that holds weekly coding meetups to help teach women and girls programming concepts. I spoke to several of the girls at the event who were considering going in this direction, and they all felt encouraged by what they heard from the professional presenters. One girl asked whether she could actually cut it in engineering, given that she wasn’t very good in math. The answer was most definitely yes: Tammy Hawkins, who went on at Mastercard to invent the “Selfie Pay” authentication app, told us that she too wasn’t a math whiz, and managed to just barely pass her last college math course. “But that was fine, because there are always people who can help you who know more,” she said. That is actually an important point. Many of us – men and women alike – don’t often apply for a job because we don’t think we have the self-confidence or skills required. Programming is a very collaborative culture, and these days teams of programmers work together on solving problems and producing code. You aren’t always going to be the smartest person in the room. It is time that all companies adapt to a more diverse workforce if they want to succeed. And we need to be on the leading edge in tech. It is time to fix this. I’m happy to report, data from the field: the undergraduate population at MIT is now 46% women. This from my 50th reunion at MIT, and sitting next to one of the 19 women in my class of ~900. While anecdotal, the engineering fields open to women today probably didn’t exist 50 years ago.